Updated September 2015: We regularly ask random Happy Head Massage customers to complete an online survey to help us improve their experience at the Happy Head. 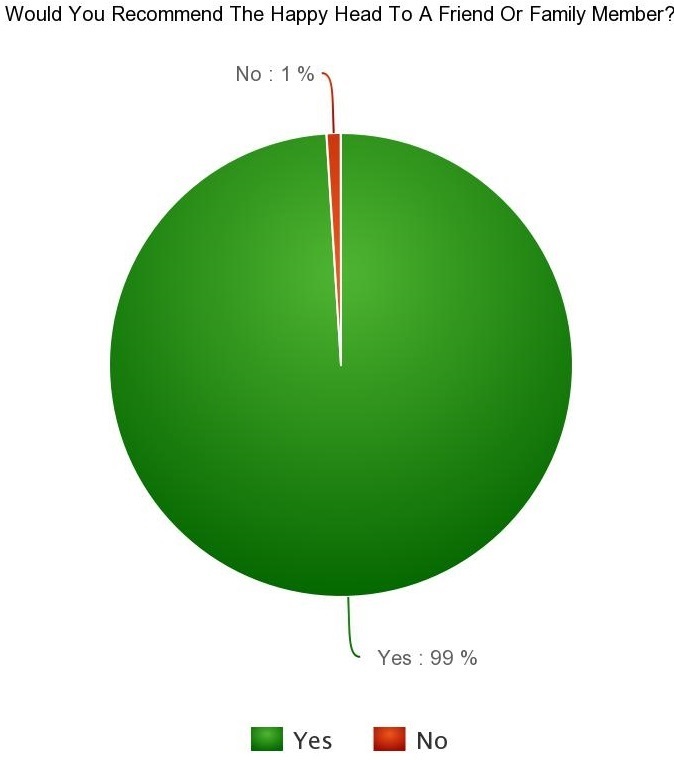 The response was huge and we really appreciate everyone’s answers. Would you recommend Happy Head Foot Reflexology and Massage to friends and/or family members? Would you recommend the Happy Head? 99% of customers would recommend Happy Head Massage to friends and/or family members. Heck, with a name like Happy Head that’s pretty darn good! “Hey honey, you should check out this massage place I went to…It’s…well…called Happy Head Massage. How would you rate the cleanliness of the Happy Head facility? 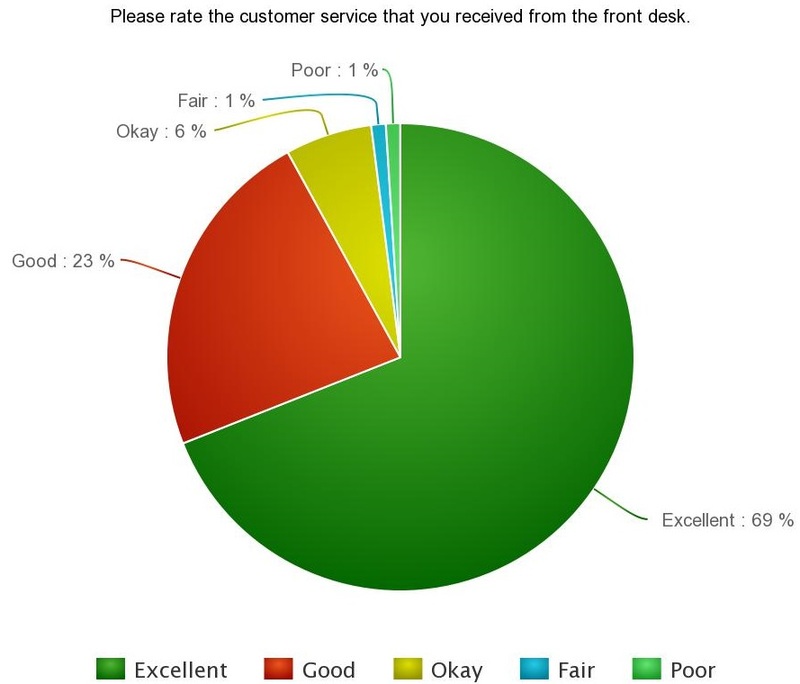 98% of customers considered the cleanliness at Happy Head to be Excellent or Good! For the other 2%, we are sorry about the Asian food during the annual party. Please rate the massage that you received at Happy Head Massage. 90% of customers rated the massage at Happy Head as Excellent and Better than expected. 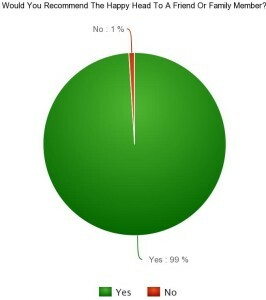 For the remaining 10%, I hope you didn’t take the name “Happy Head” too literally. Please rate the customer service that you received from the front desk. Please rate the customer service. 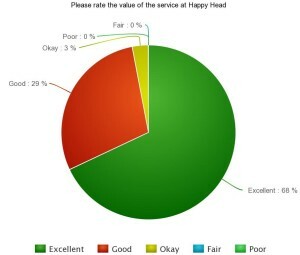 Over 90% of customers rated the customer service they received at Happy Head as Excellent or Good. All joking aside, we take customer service very seriously. If you ever have a bad customer service experience, please let us know right away by filling out the feedback form on our website. Please rate your overall experience at Happy Head. Please rate the value of the service at Happy Head. We always strive to give customers a great massage without the spa prices. For a full list of services at the Happy Head, visit the services page. Thank you all for being such wonderful Happy Head customers. Your feedback, your support, and your friendly smiles are what makes us strive to give you an unbelievable experience now and forever. 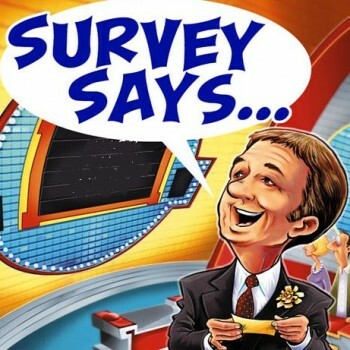 Survey Says: The Happy Head Really Does Make You Happy! Happy Head Massage Is Looking For Mystery Shoppers!